The Unit is a functional fitness gym in Kotturpuram with quality trainers and a really cool open gym policy at solid pricing. 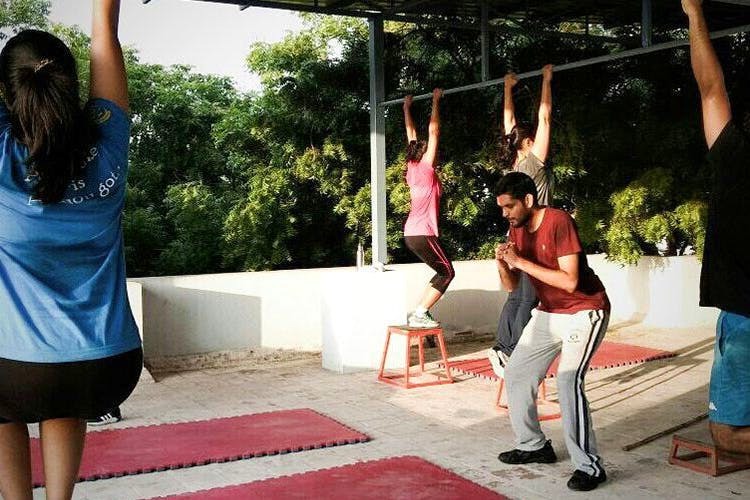 Started by Jyotsna John an ex-IT professional with a love for fitness, The Unit is a popular and now tenured, functional fitness gym on Ranjith Road in Kotturpuram. Jyotsna is a certified fitness professional and an Olympic weightlifter (whoa) and works with a team of certified coaches that are accomplished athletes in their own right. They set themselves apart from most gyms with the effort that they put into teaching the little things like form and technique that are often overlooked. The way their gym functions is that you pay for a certain duration or number of classes, after which you meet with a coach to design a training program custom to your goals and requirements and get to working out. Their gym is well equipped and has everything from squat racks to medicine balls, but no treadmills. Why, you ask? Because strength training is what you’ll be doing in this gym. That means squats, jumps, planks and loads more exercises that will make you groan, but do a world of good for you and make you look amazing. Workouts are roughly an hour long and thrice a week. One of the things we really like about this gym is their open gym system which basically means that you can come in and get your work out any time during the gym’s open hours. So say goodbye to “oops, I slept in” excuses at this gym. There’s a strong community element too at this gym, with events hosted by the gym for members and non-members to try out; they recently hosted an optional yoga class and an MMA class. The idea is to make training fun and enjoy coming to the gym and we love them for that. Price wise, we think they are solid value for money given the service they offer, with monthly fees coming to around INR 5000. However, we do recommend checking with them for offers and discounts for a better price. All in all, this is a quality gym on this side of Chennai and you should definitely check it out.